I wrote a guide a while back outlining some points to consider when choosing the right hiking socks. A guide which caused quite the debate on twitter and eventually spawned The Great Sock-Off 2011. Point6 was the first sock up so I hit the trail at Swallow Cliff wearing a pair of Point6 Hiking Tech Light Mini Crew socks in order to evaluate their pros and cons and see how well they would measure up in the ultimate sock showdown… The Great Sock-Off 2011! Knowing that I came into The Great Sock-Off 2011 as an advocate for synthetic fiber socks, I think you’ll be surprised at my impressions. I have to admit. I really thought that my Point6 Hiking Tech Light Mini Crew socks would fall flat in this area. I truly thought this would end up being the achilles heel for them. Perhaps I’m showing my age here, but before Point6 when I thought of wool socks I thought of heavy, uncomfortable, scratchy potato sacks on my feet. Imagine my surprise when I slipped on my well fitting, light-weight, soft and sleek Point6 socks… I really can’t stress enough just how comfortable they are. The material, the fit, the function, it’s like the sock was tailored for my foot, and where I thought this sock would do the worst ended up being one of my favorite features! I expect padding and support from a hiking sock and Point6 did not dissapoint. My Point6 Hiking Tech Light Mini Crew socks offered supportive cushioning across the instep as well as under foot providing just the right amount of support and padding where I needed it, without being bulky or constricting. Honestly I have to say this is a wash. My hike was only 8.5 miles, not nearly long enough to test the true durability of any sock. However I will update this after several more hikes, and several more washes to let you know how they held up. I have to admit I was pleasantly surprised by my Point6 socks. I expected them to be heavy, hot and itchy when in fact the 100% Merino Wool was well fitting, lightweight and durable. I advocated synthetic fibers going in to The Great Sock-Off 2011 so I really didn’t expect the Point6 socks to fit and feel as well as they did. Overall Point6 socks did better than I expected and they are definitely a heavy contender for The Great Sock-Off 2011 crown (at least in my mind) and I would recommend them without hesitation. But don’t just take my word for it! Remember to read Adam’s review at his blog HikingTheTrail.com, and Dave’s review at his blog DaveCreech.com, and of course remember to stay tuned for the next Great Sock-Off 2011 review featuring the Thorlo-CoolMax Synthetic trail running sock. Better yet, instead of just reading about it… Why not participate? Get up, get out, and get hiking! 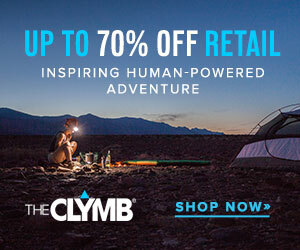 You can Get The Outdoor Gear You Need At Up To 70% Below Retail At The Clymb.com So join today and get yourself a pair of wool socks and a pair of synthetic socks and participate in The Great Sock Off 2011! Full Disclosure: I purchased the Point6 socks used in this review myself, they were not provided to me by the manufacturer nor their distributors. I was not compensated in any way to provide an opinion on their products, services or website. The views and opinions expressed on this blog are purely my own. 2011? Well… The first leg of Sock-Off 2011 is upon us, and the first sock up is Point6! This weekend Adam, Dave and I will be hitting the trail wearing our Point6 socks and putting them through their paces. All three of us will put our socks to similar tests, evaluating their pros and cons, and then compare them to see which fiber reigns supreme in the ultimate sock showdown! I’ll be hiking one of my favorite trails, the 8 mile Sag Valley Yellow Trail. A loop starting at the Swallow Cliff parking lot, the wide trail hugs the base of the bluff as it heads eastward, eventually circling southwest to McClaughry Springs and then to the top of the moraine above McClaughry woods. The trail then weaves down through the Laughing Squaw Sloughs and continues west across the Sag Valley, named for the former Saganashkee Swamp. The winner? Who knows? Follow hashtag #Sockoff2011 on twitter for more information! But don’t just take my word for it! Remember to read Adam’s review at his blog HikingTheTrail.com, and Dave’s review at his blog DaveCreech.com, and of course you know where to find mine right? So stay tuned for the results! Recently I wrote a guide outlining some points to consider when choosing the right hiking socks. In it I revealed my preference for synthetic fibers over wool. While writing it I didn’t realize that it would spawn an all out, no holds barred, battle of the fibers… But it did. 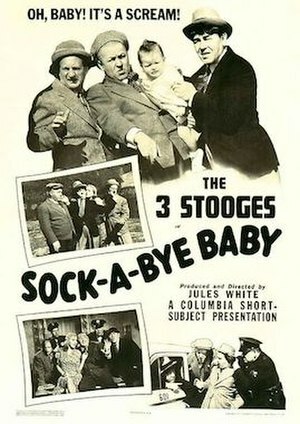 In fact, it has actually erupted into something Adam, David and I have taken to calling The Great Sock Off 2011! The gyst of it is simple. Acquire a pair of Point6 Hiking Tech Light Mini Crew socks and a pair of Thorlo-CoolMax Synthetic trail running socks and then put them through their paces in a head to head competition pitting wool hiking socks against synthetic fiber hiking socks in order to determine which is the better material. Once the real world data is collected we’ll be blogging about our experiences, as well as the pros and cons of each type of sock in an attempt to settle the age old debate of wool vs. synthetic fiber once and for all. You’ll find Adam’s review at his blog HikingTheTrail.com, and Dave’s review at his blog DaveCreech.com, while mine… Well, you know where to find mine right? So stay tuned for the results! Write about it on your blog, on Facebook or on Twitter… Heck we even have our own twitter hashtag, use #sockoff2011. Who will reign supreme? Will you be participating? Leave me a comment and let me know! P.S. The Great Sock Off 2011 is growing by leaps and bounds. Since initially writing this piece two more brands have an expressed an interest in throwing their socks in the ring. So the reviews may also include Injinji hiking socks as well as my personal favorite Keen hiking socks! Stay tuned for more details! We’ve talked before about choosing the right hiking boots, but just as important to any hiker is choosing the right hiking socks. 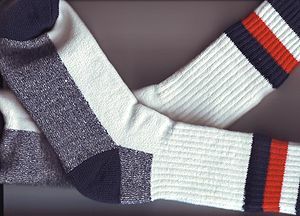 Although socks are often overlooked, especially by beginners, choosing the wrong socks can lead to blisters and fungal infections. Trust me when I tell you… The right hiking sock is just as important as choosing the right hiking boot. When choosing a pair of socks for hiking cotton socks should be avoided at all costs. I know, I know… Cotton socks are comfortable and easy to find but cotton keeps moisture in, which leads to blisters and fungal infections… Neither of which are very fun on the trail. So do yourself a favor and stick to synthetic fibers such as acrylic and polyester. These types of fibers help keep feet dry and free from painful blisters by allowing your feet to breath while still providing the insulation that you will need while hiking. In terms of fit you’re going to want to be sure that the fit is snug, but not too snug. If your socks are too tight they will be uncomfortable and binding. They should be a decent weight, not too thick as to be bulky but not too thin as you want them to help cushion your feet and keep them warm. If you’re not sure of the thickness it’s always better to err on the side of thinner as you can double up later and wear two pair. Speaking of that it’s always a good idea to bring a spare pair of fresh, clean, dry hiking socks with you on every hike, this way you can change them if your feet get wet. I’ve said it before, and I’ll say it again! You’d be surprised at just how amazing a pair of fresh, clean, dry socks feel half way through a hike! How do you choose your hiking socks? Do you have a favorite style or brand? Let me know, leave a comment below!